Below are the official 2017 Hockomock League Boys Soccer All Stars, selected by the coaches in the league. FOXBORO, Mass. – They are always worth one point but in the game of soccer, there are good ties and there are bad ties. 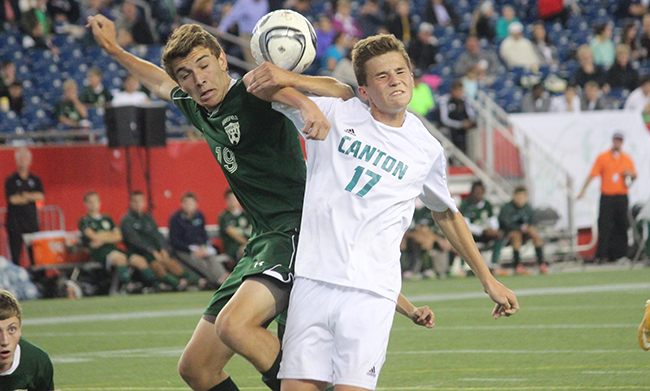 Canton and Mansfield battled for 80 minutes but neither side could find the back of the net in a 0-0 draw at Gillette Stadium on Wednesday. So what this a good or bad draw? Depends on who you ask. 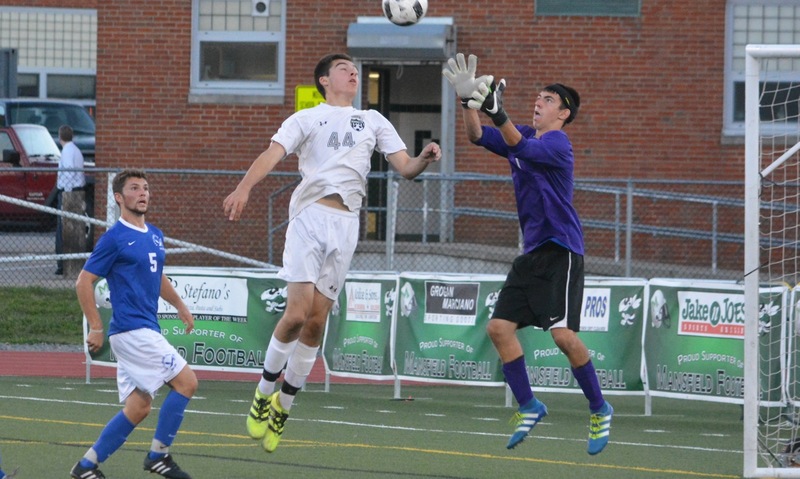 “I thought it was a fine result for us,” Canton head coach Danny Erickson said. “We really wanted to win that game. We thought we had them on their heels for most of the second half, at least the last 20-25 minutes. They’re a very good team, they’re tough and strong. They dominated quite a bit of the play in the first half, I thought we played quite poorly in the first half and couldn’t put anything together. I think we settled down in the second half, withstood a pretty good attack from them in the first 10 minutes of the second half and once we got one chance, we loosened up and I thought we played great. 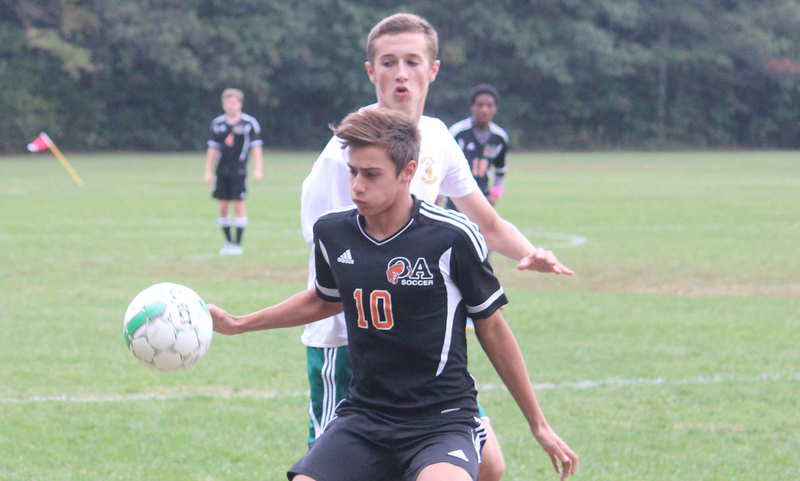 Mansfield, who was coming off its first loss of the season, was unable to find the back of the net for the second consecutive game. “A tie,” Mansfield head coach Steve Sheridan said when asked if it was good or bad. “I wouldn’t take anything away from that program but we expected to win so I’ll classify it as not a good tie. The Hornets controlled the majority of the first half but couldn’t cash in, despite a good chance in the first five minutes and then two more in the final five minutes of the opening half. 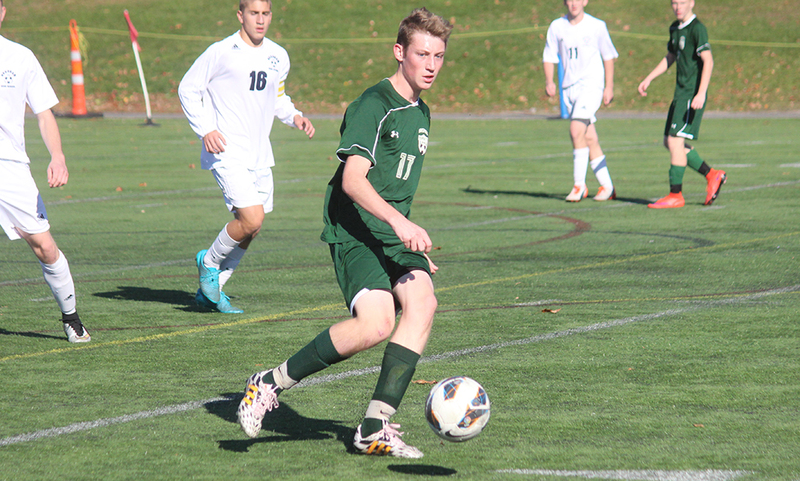 Mansfield senior Jack Reilly gained possession in the center of the pitch shortly over midfield and was able to carry the ball into the attacking third. 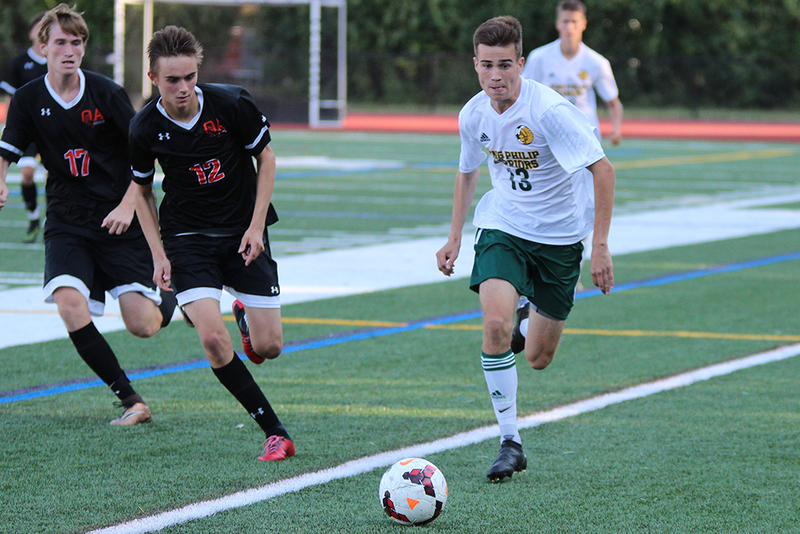 Reilly then played a through ball that senior Charlie Rogers ran onto in the area and fired a one time shot but Canton goalie Abe Garber was off his line and blocked the shot wide. Mansfield had a handful of corners and long throw ins, which is what they have used to create a lot of their chances so far this year, but Canton’s back line and Garber dealt with all of them. In the 37th minute, Mansfield’s Chris Elsner served in a cross to the near post that James Chotkowski got on the end of but his touch went wide. In the final minute of the half, senior Jared Miller used a clever chip to get past a defender and into the area and slid a pass across to Sean Lanzillo, but Canton defender Paolo Ruggeri was able to get there first and push the attempt wide. 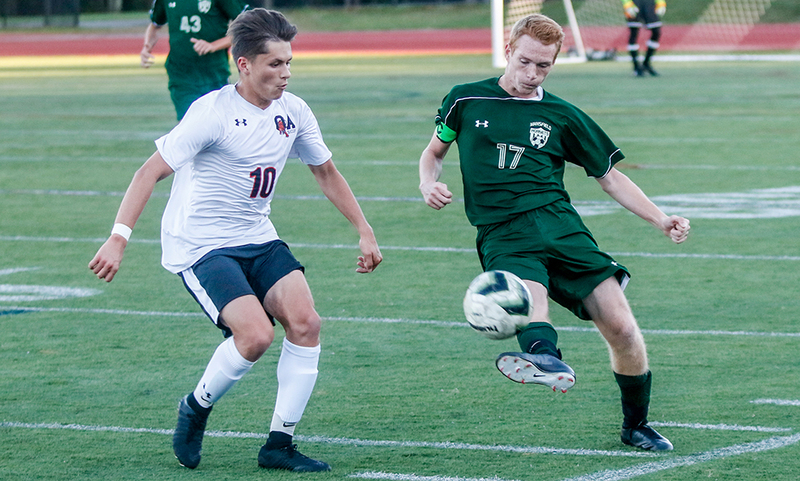 Mansfield nearly cashed in the 63rd mintue after a long throw from Max Gurnon bounced around in the area before sophomore Nick Hyland placed a shot on goal but Garber was in good position for the save. The final 15 minutes belonged to the Bulldogs. A shot in the 75th minute that would have likely tested Mansfield goalie Michael Kirejczyk at the bottom corner was blocked by a defense. In the 77th minute, sophomore Jake Verille took the ball down the left sideline and whipped in a cross but it was just out of the rest of freshman Paul Corcoran at the far post. Although Mansfield was unable to score, the backline of Elsner, Gurnon, Hyland, Harry Braidt along with Kirejczyk notched the team’s seventh shutout of the season in 10 games played. After surrendering four goals in the team’s appearance at Gillette last season against Foxboro, it was a better showing in 2015. Canton (3-5-2, 3-4-2) will look to conclude what has been a strong week with another good result on Friday with a trip to Franklin. Mansfield (7-1-2, 7-1-1) will look to get back in the win column on Saturday when they host Foxboro on Saturday afternoon.